CARRYING TEAR GAS, BILLY CLUBS, AND PLEXIGLASS SHIELDS WITH “PORTLAND POLICE” PRINTED UPON THEM, DOZENS OF RIOT POLICE MOVED PAST THE CROWDS GATHERING TO SEE RISING APPALACHIA PLAY. It was a warm evening in the fall of November 2016, and the sister-led folk band was performing to a sold-out audience at the Crystal Ballroom, blocks away from protests occurring in the capital city of Oregon. Somehow, despite the animosity and unrest in the streets, there was a palpable sense of joyful togetherness, community and celebration in the theater that night. In the middle of the set, as the band bent a hip-hop inspired anthem into an old gospel spiritual with the words “No more weeping and wailing,” the audience erupted in a long, raucous roar. The concert was offering not so much an escape from the drama outside, but an opening for a way through it. Leah Song and Chloe Smith, founding sisters of Rising Appalachia, have long witnessed themselves – by both choice and coincidence – carrying harmony into settings of upheaval and discord. Soon after their eponymous release in 2006, the siblings moved to New Orleans to assist in rebuilding efforts following Katrina. There they gained not only a deeper sense of connection to the roots of American music, but also an abiding sense of purpose as musicians. The band, which has now grown to include musicians David Brown on upright bass and baritone guitar, and Biko Casini on world percussion, has settled into its stride and purpose through creating original music with a mission, rooted in the traditions of folk songs, storytelling, and grass roots activism. The band manages to meld traditions and genres the same way Leah and Chloe blend their voices; it’s casual, beguiling, and effortlessly singular. As the name connotes, the band’s sound arises most directly from the old-time music traditions that were passed down from Leah and Chloe’s parents, who often took the young girls to fiddle camps and gatherings in the Appalachian Mountains. Their home was in a different setting altogether, though. It lay smack dab in the heart of urban Atlanta Georgia, a humble craftsman house where, on most afternoons, fiddle tunes and blues guitar still get played by their mother and father. The traditional melodies within can blend with the city’s other sounds: a passing car’s subwoofers shaking out deep drum and bass notes, and some accordion driven boleros from a soccer match down the road. It’s not hard, sitting on their porch, to understand where this band’s persuasive and powerful new genre of acoustic folk comes from – one that melds old-time music with a thick rhythm section, southern soul with West African instrumentation and an occasional Colombian love song thrown in. The diverse influences converge through the voices of Leah and Chloe, which go together as only two siblings’ can. In addition to their original approach to their music, the band has embraced a similar independent spirit with their touring. Outside of many industry norms, they have built a significant, loyal following as evidenced by recent sold out shows across the U.S, Canada, Australia and throughout Europe. After years of performing in coffee shops and on the streets of New Orleans, Dublin, Florence and Stockholm, they have risen to grace stages such as Red Rocks, the Kennedy Center, the Vancouver Folk Festival, Urkult, Winnipeg Folk, Woodford and Envision festivals, Pickathon, Kate Wolf, among many others. In spite of a busy touring schedule, a manifesto known as the “Slow Music Movement” guides the band in deliberate and often anachronistic means of touring. In support of their last studio album, Wider Circles (2016), the band travelled the US by rail, and in then in 2017, they toured the gulf islands of British Columbia in a wooden sailboat named La Libertatia. Accompanied by a film crew and a hearty bunch of sailors, they played shows on farms across the islands in support of issues such as food justice, indigenous rights, and protecting clean water. The band routinely provides a platform for the causes local to the cities they play, and frequently incite their fans to gather with them in converting vacant or under-used lots into verdant urban orchards and gardens. 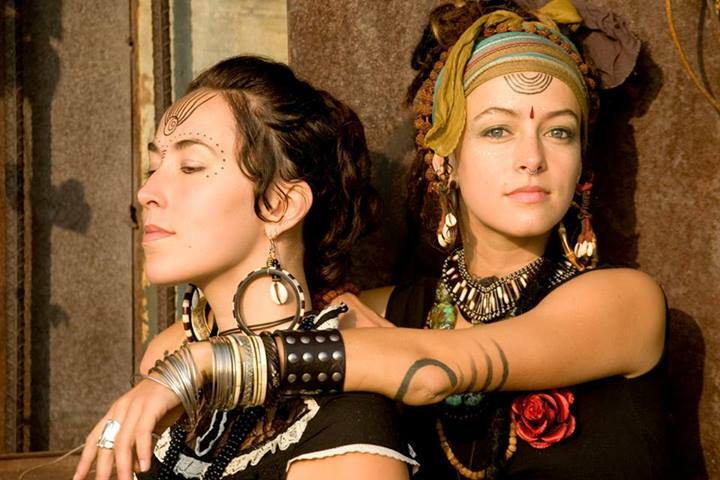 Both onstage and off, Rising Appalachia exudes a sense of rootedness, playful exploration, and inspired action. Their sound and message, such as revealed in the newest single, “Resilient,” suggest that voices and traditions, brought together through song, may be one of the saving graces to a world in distress. In a time when the fabric of community and culture often appear to be unraveling, their interweaving of music and mission, old traditions with new interpretations, creates an atmosphere of contagious hope and bliss.